So you bought yourself a Ventrilo Server so you and your friends and family can converse while gaming. Congratulations! By now you probably figured out that all the management of your server can be easily done via our Custom Control Panel, right on this website. Well that is just the beginning of the control we give you over your server. You can change your Custom Hostname instantly, at anytime, and without opening a support request or staff intervention. There are 8 ventrilo domains from which you can choose and use while you are a client of Ventriloservers.biz. Besides our automated backups that occur 6 times daily, you can restore your server at anytime and without staff intervention. We also have TCAdmin Version II Control Panel ready for you to use. Our version is heavily modified with scripts, file manager, backup and restore features, live stats and graphs, reinstall features and scripted restart functions. 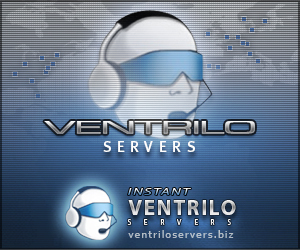 With our control panel, you can edit every aspect of your Ventrilo Server efficiently.